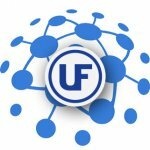 » 1 Can the UltraHeatMF Series be used for Plastic Reflow applications? » 2 Is it possible to use the UltraHeatMF Series in Curing or Forging applications? » 3 Is HS-100MF suitable for the whole UltraHeatMF Series? » 4 How much does the HS-100MF weigh in lb? » 5 What colour is the Start button on the Remote Control Panel? » 6 Is the Stop button on the Remote Control Panel red? 1. Q: Can the UltraHeatMF Series be used for Plastic Reflow applications? A: Yes, the series is suitable for Plastic Reflow. 2. 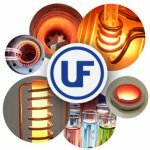 Q: Is it possible to use the UltraHeatMF Series in Curing or Forging applications? A: Affirmative the UltraHeatMF Series can be used for such applications. 3. Q: Is HS-100MF suitable for the whole UltraHeatMF Series? A: Yes, this heat station can be used with the whole UltraHeatMF Series. 4. Q: How much does the HS-100MF weigh in lb? A: The heat station is weighing 132.3lb. 5. Q: What colour is the Start button on the Remote Control Panel? A: The Start button is green. 6. Q: Is the Stop button on the Remote Control Panel red? A: You are correct, the button is red.